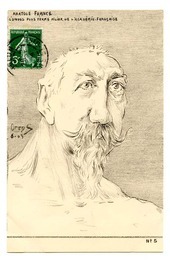 Orens Bonaventure Charles Denizard was born in Pontry, France in 1879. 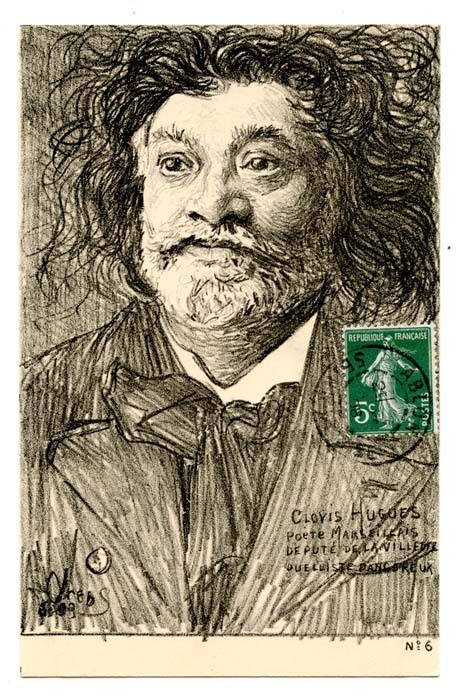 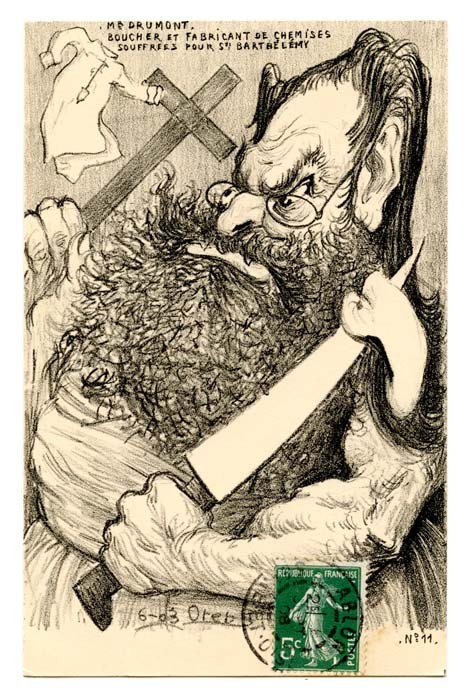 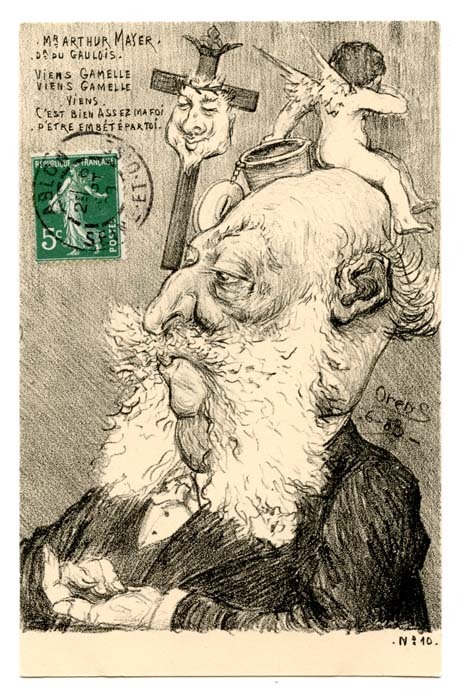 Whlle still very young he began working in a print shop in d'Amiens, later attending a local school, and finally the Ecole des Beaux-Arts in Paris. Here in Paris, he studied various artistic techniques from painting to etching. 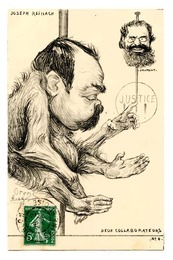 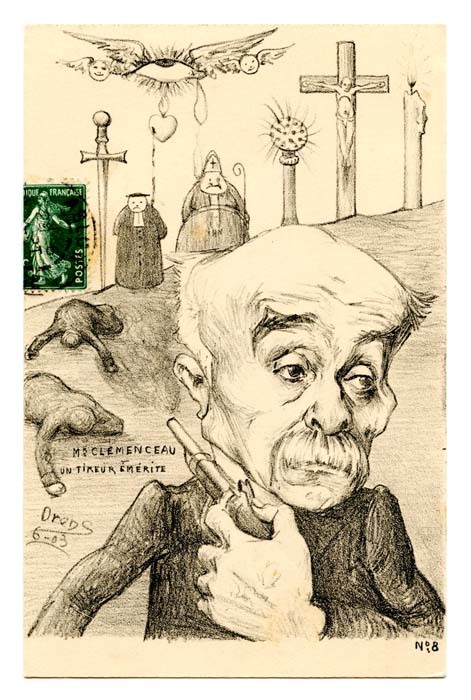 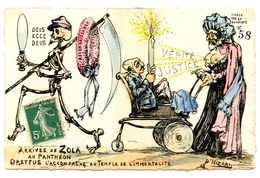 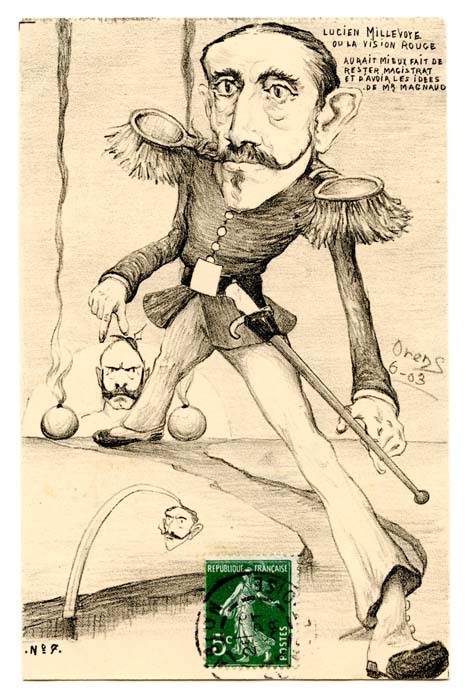 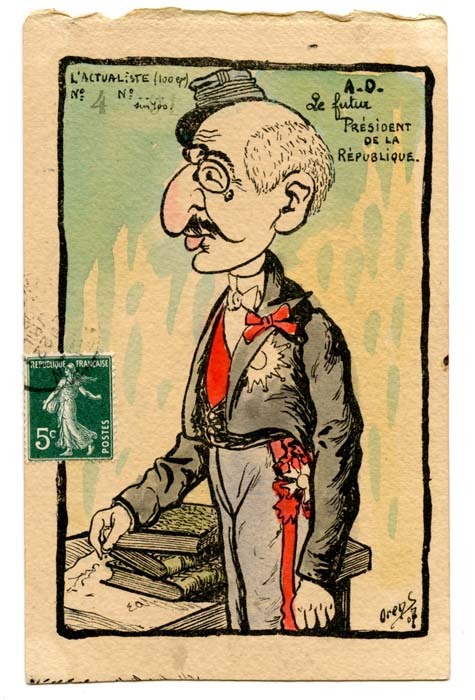 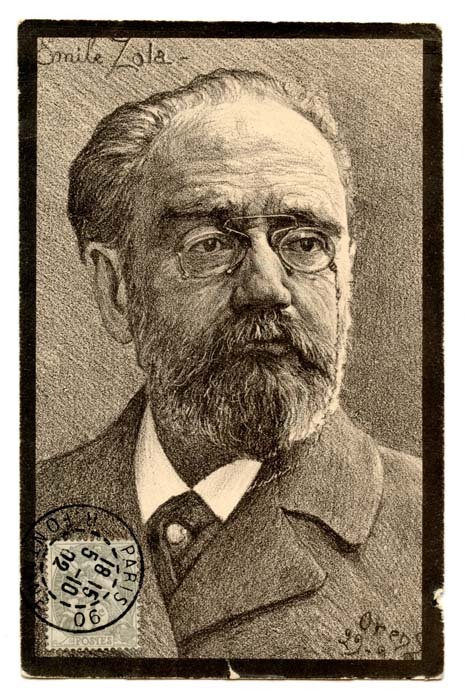 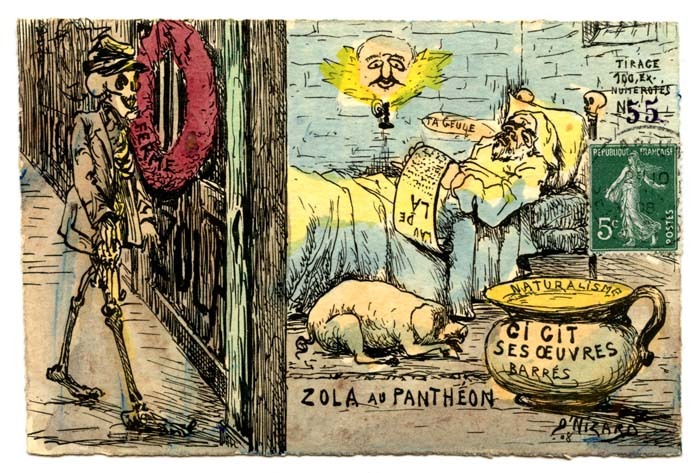 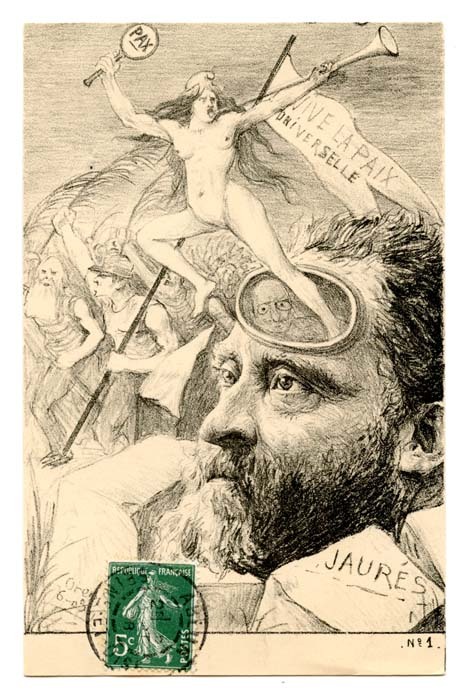 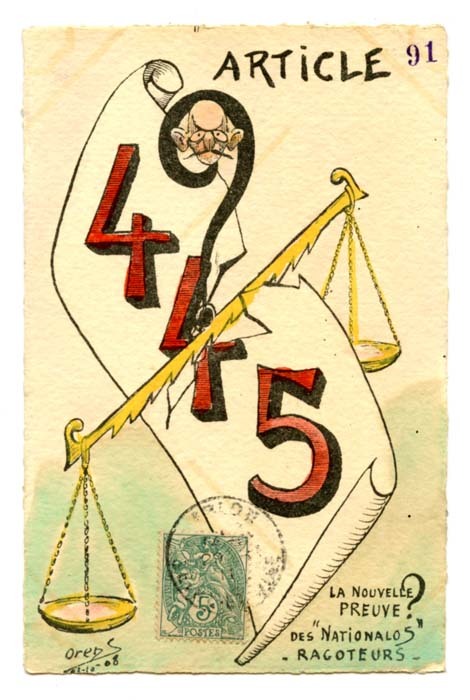 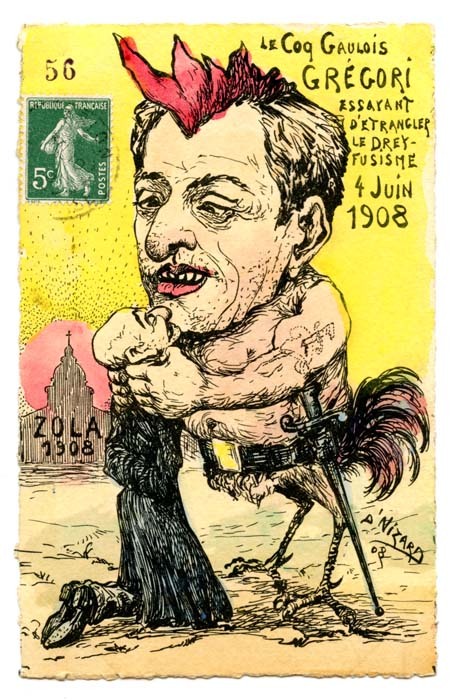 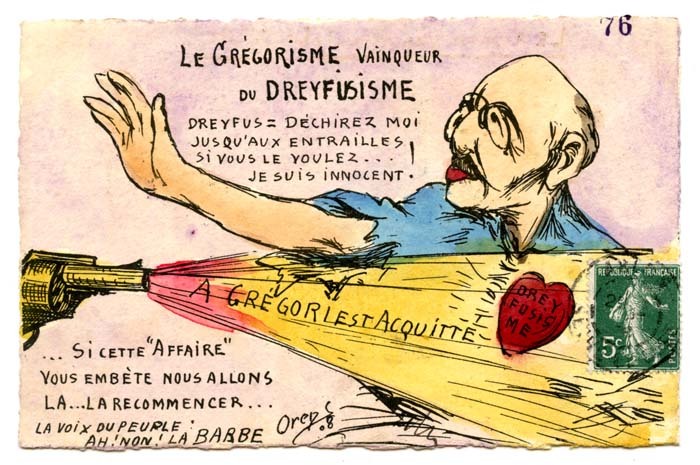 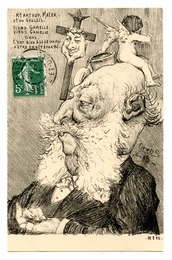 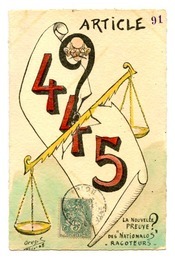 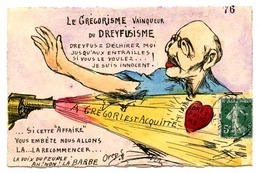 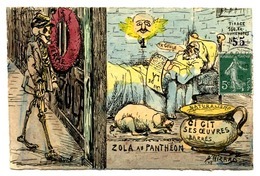 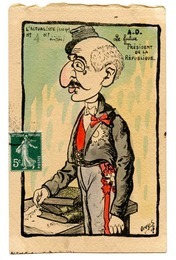 His time at the Ecole des Beaux-Arts coincided with the initial events of the Dreyfus Affiar, a subject which he later added his own visual commentary through the production of numerous postcards. The JPL holds postcards with the artist signatures 'Orens', as well as 'D'Nizard'.